class="post-template-default single single-post postid-322681 single-format-standard custom-background group-blog masthead-fixed full-width singular wpb-js-composer js-comp-ver-5.7 vc_responsive"
CHICAGO — Mini Babybel® snack cheese plays a starring role in the all-new Toy Story Land, an 11-acre land at Disney’s Hollywood Studios® located at the Walt Disney World® Resort in Lake Buena Vista, Fla. 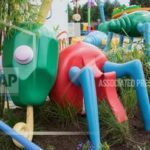 Guests in Toy Story Land will feel like they have shrunk to the size of a toy as Woody, Jessie, Buzz, Slinky Dog, the Aliens, Green Army Men and other Toy Story characters interact in the larger-than-life outdoor setting of Andy’s backyard. The space incorporates both the fun of Mini Babybel and the magic of the hit Disney•Pixar Toy Story films. 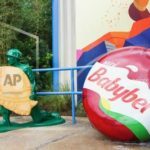 As the official snack cheese of Walt Disney World® Resort, Babybel worked closely with Walt Disney Imagineering to bring the unique Mini Babybel product experience to life at Woody’s Lunch Box, the quick-service food-and-beverage location within Toy Story Land. 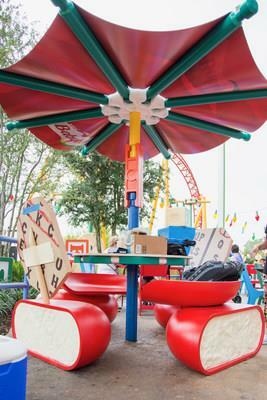 Woody’s Lunch Box puts a modern spin on timeless menu favorites for all the members of the family to enjoy in an exciting themed dining experience, including tables with seats that resemble jumbo replicas of the Mini Babybel snack cheese and umbrellas that are modeled after the cheese’s wrappers. 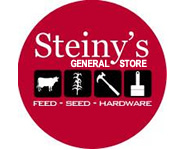 Guests might even see one of the Green Army Men carrying a four-foot, jumbo cheese wrapped in its famous red wax. 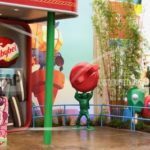 “In addition to offering a fun and delicious snack option that every member of the family can enjoy at Toy Story Land, we’re excited to see the playful elements of Mini Babybel that fans know and love come to life in a way only Disney could imagine,” says Shannon Maher, brand director for Babybel. 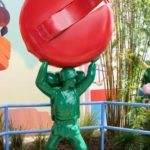 Experience the fun and excitement yourself at Disney’s Hollywood Studios and share your snacking adventures with us @Babybel on Twitter, or @BabybelUS on Facebook, and Instagram using #LunchBoxGoals.